Harshad Shantilal Mehta was an Indian stockbroker. He worked as a middle man between many banks for a long time and gained the trust of the banks’ senior management. He is alleged to have engineered the rise in the BSE stock exchange in 1992. He took advantages of the banking system to orchestrate the 4000 crore scam diverting funds from banks to brokers between April 91 to 92. Exploiting several loopholes in the banking system, Mehta and his associates siphoned off funds from inter-bank transactions and bought shares heavily at a premium across many segments, triggering a rise in the Sensex. When the scheme was exposed, banks started demanding their money back, causing the collapse. He was later charged with 72 criminal offenses, and more than 600 civil action suits were filed against him. 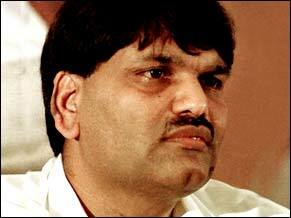 Harshad Mehta died in 2002 with many litigations still pending against him. Harshad Mehta took cash out of the banking system and invested it in shares. This was a loan that was not on the books. He cultivated high ranking officials from various banks and took loans for which some royalty was paid in cash to the officials. His unrestrained buying sent the Sensex up 200 per cent in just two months. With the Harshad Mehta scandal of 1991, the dimensions of money involved expanded exponentially. This scam was the beginning of bigger scams involving bigger names and bigger amounts. Harshad Mehta, SBI, NHB, Grind lays, Citibank and Stanchart were all accused of having played a part in the Rs 10,000 crore securities scandal. A Special Court also sentenced Sudhir Mehta, Harshad Mehta’s brother, and six others, including four bank officials, to rigorous imprisonment (RI) ranging from 1 year to 10 years on the charge of duping State Bank of India to the tune of Rs 600 crore (Rs 6 billion).